Hey there, Beamdog fans. 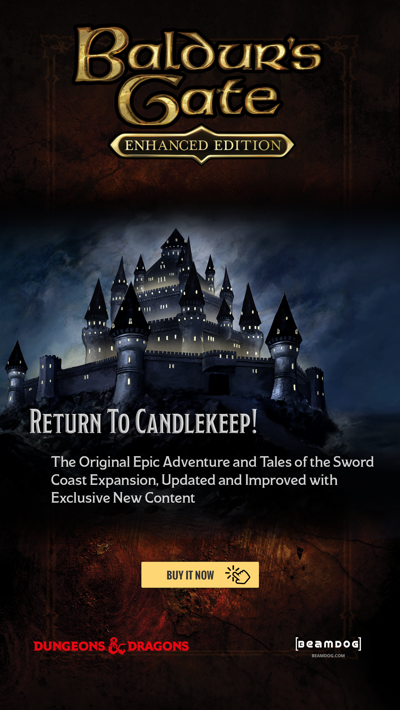 We know you're waiting for the release of Siege of Dragonspear (if you're new here, that's the upcoming expansion to Baldur's Gate: Enhanced Edition), or at least a glimpse of what we've been working on. Consider your second wish granted! 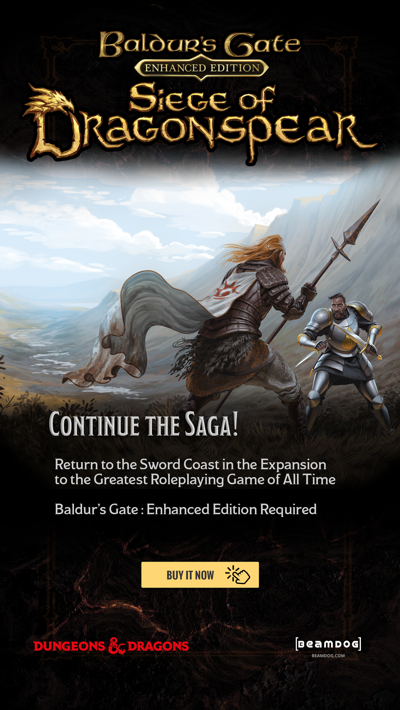 On February 5, Phil Daigle (SoD's Lead Designer) and Amber Scott (SoD's Lead Bard), will play Siege of Dragonspear on Twitch. Tune in to see some new areas, hear character voices, and watch Phil try to kill off Amber's character. Oh yes, Phil. I haven't forgotten the Fireball Fiasco of '14. If that's not enough, we'll also be giving away prizes, answering some viewer questions, and, if the boss isn't paying attention, maybe even telling some behind-the-scenes stories of Dragonspear's creation. The stream begins at 11 am MST (10 am PST) on February 5, 2016, and runs 60 minutes on twitch.tv/beamdog/profile. We plan on streaming more throughout the month so don't panic if you can't make this broadcast (and we'll try to archive the stream as well and toss it up on our YouTube channel).